Switch gears with this mixed-metal necklace. 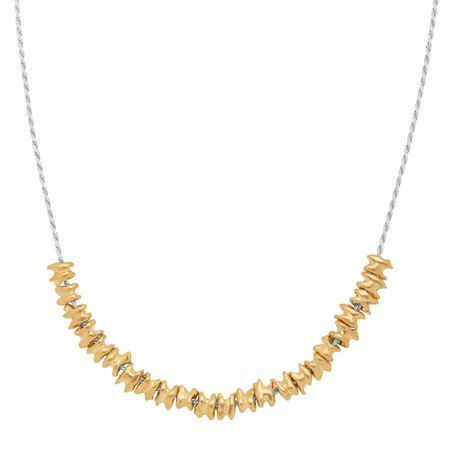 Brass forms pebble-shaped pieces that hang from a sterling silver chain, giving this necklace the popular mixed-metal look that pairs well with anything leather, and your cool, casual basics. Necklace measures 18 inches long, plus a 2-inch extender for adjustable length, and features a lobster clasp. Piece comes with a ".925" sterling silver stamp as a symbol of guaranteed product quality.